D47 & D47S hardware set. Includes 4 servo horns, 2 servo horn screws, 2 mounting screws and two side mount tabs. Note, Dymond also lists the yellow version of this kit (11323). They are exactly the same except for color. We only stock the Red version which fits both servos exactly the same. Both servos are same output spline, same case, same fasteners. Micro horn sets. Extra long length for big throws on 3D ships. Can be trimmed to shorter lengths easily. 4 long single horns, 2 long double horns. Maximum control radius about .950" (24mm). Single arms are 1.1" (28.9mm) over all length. Double arms are 2" (51mm) over all length. Photo is manufacturers sample. Actual color orange. Micro horn sets. Extra long length for big throws on 3D ships. Can be trimmed to shorter lengths easily. 4 long single horns, 2 long double horns. Maximum control radius about .950" (24mm). Single arms are 1.1" (28.9mm) over all length. Double arms are 2" (51mm) over all length. Photo is manufacturers sample. Actual color camel. Micro horn sets. Extra long length for big throws on 3D ships. Can be trimmed to shorter lengths easily. 4 long single horns, 2 long double horns. Maximum control radius about .950" (24mm). Single arms are 1.1" (28.9mm) over all length. Double arms are 2" (51mm) over all length. Photo is manufacturers sample. Actual color red. Micro horn sets. Extra long length for big throws on 3D ships. Can be trimmed to shorter lengths easily. 4 long single horns, 2 long double horns. Maximum control radius about .950" (24mm). Single arms are 1.1" (28.9mm) over all length. Double arms are 2" (51mm) over all length. Photo is manufacturers sample. Actual color blue. Micro horn sets. Extra long length for big throws on 3D ships. Can be trimmed to shorter lengths easily. 4 long single horns, 2 long double horns. Maximum control radius about .950" (24mm). Single arms are 1.1" (28.9mm) over all length. Double arms are 2" (51mm) over all length. Photo is manufacturers sample. Actual color gray. Micro horn sets. Extra long length for big throws on 3D ships. Can be trimmed to shorter lengths easily. 4 long single horns, 2 long double horns. Maximum control radius about .950" (24mm). Single arms are 1.1" (28.9mm) over all length. Double arms are 2" (51mm) over all length. Photo is manufacturers sample. Actual color black. These servo horns fit most standard size Futaba Servos including; S28, S128, S48, S148, S3001, S3003, S3004, S3151 and others. 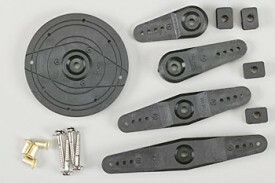 Described also as the FSH50 Servo Acc Pkg. 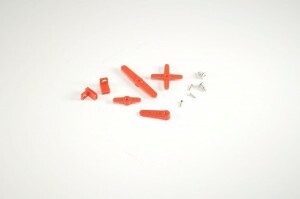 Included are a grommet, eyelet and servo hold down screw set. The grommets may not be correct for every servo listed. GWS PICO Servo Horn Set. 5 long and 5 short servo head screws for metal gear Hitec Servos. Any Hitec metal gear servo uses one of the two screws provided here. Product of MPI. 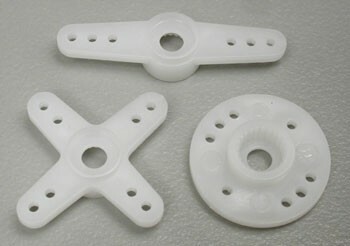 Set of THREE micro Hitec servo control horns. White nylon material. These horns have holes correct for 1/32 wire used in all the smallest servos. Will fit only Hitec 50 and 55 servos. Set of THREE Hitec servo control horns. 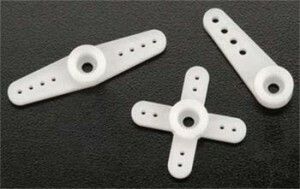 White nylon material. Will fit only Hitec 56HB and 65HB. Set of THREE Hitec servo control horns. White nylon material. Fits HS-60/80/81/85/HSG-5083MG servos. Servo horn and hardware set, fits HS-60/80/81/85 and possibly some other Hitec servos. Set of THREE Large Hitec servo control horns. Nylon horns, 2 each black and 1 red. 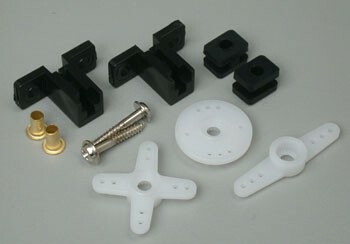 Includes servo screws, grommets and brass bushing. Fits 7xx series and below standard size case servos. 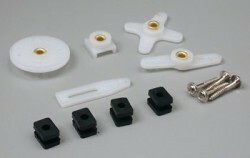 Hitec heavy duty plastic servo arms. 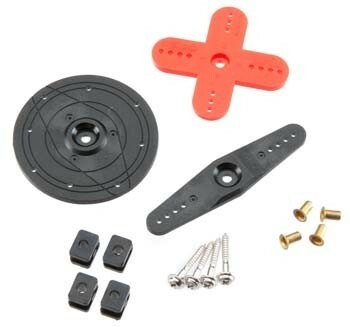 Includes 1 Wheel, 4 arms, screws, grommets and mounting bushings for one servo. Sonic-Tronics Servo Arms. 8 arms per package for Futaba Servos. 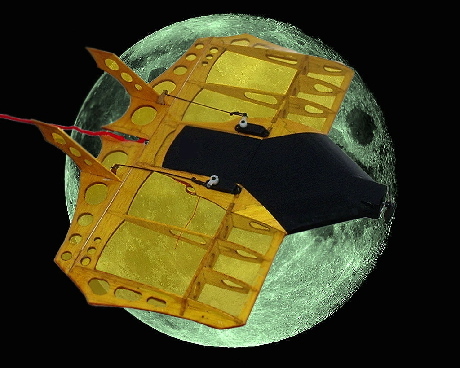 Injection Molded from engineered composite materials containing long carbon fibers. This combination of materials bring the modeler a super performance product. They are larger, stronger and more rigid than any other standard servo arm available. When models are powered by 90, 120 or larger engines or are 1/4 and 1/3 size, higher performance products are a required item for safety. Two Versions available. 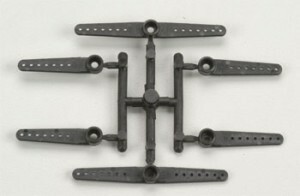 The 8 pack has two each of four types, two double arms, two each of the small, medium, and large single servo arm. The 4 pack has one each of four types. One "X" arm, double arm, and one each of small and medium single arm. Sonic-Tronics Servo Arms. 8 arms per package for Airtronics Servos. Injection Molded from engineered composite materials containing long carbon fibers. This combination of materials bring the modeler a super performance product. They are larger, stronger and more rigid than any other standard servo arm available. When models are powered by 90, 120 or larger engines or are 1/4 and 1/3 size, higher performance products are a required item for safety. Two Versions available. 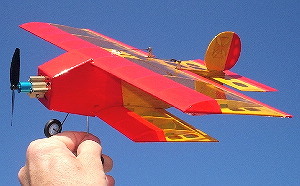 The 8 pack has two each of four types, two double arms, two each of the small, medium, and large single servo arm. The 4 pack has one each of four types. One "X" arm, double arm, and one each of small and medium single arm. Sonic-Tronics Servo Arms. 8 arms per package for JR, Cox & Sanwa Servos. Injection Molded from engineered composite materials containing long carbon fibers. This combination of materials bring the modeler a super performance product. They are larger, stronger and more rigid than any other standard servo arm available. When models are powered by 90, 120 or larger engines or are 1/4 and 1/3 size, higher performance products are a required item for safety. Two Versions available. 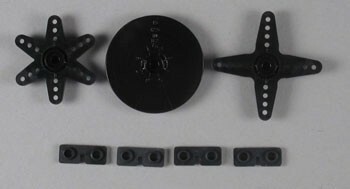 The 8 pack has two each of four types, two double arms, two each of the small, medium, and large single servo arm. The 4 pack has one each of four types. 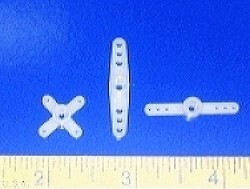 One "X" arm, double arm, and one each of small and medium single arm. Futaba Servo Arms. 4 arms per package. Injection Molded from engineered composite materials containing long carbon fibers. This combination of materials bring the modeler a super performance product. They are larger, stronger and more rigid than any other standard servo arm available. 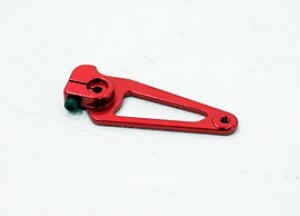 Airtronics Servo Arms. 4 arms per package. Injection Molded from engineered composite materials containing long carbon fibers. This combination of materials bring the modeler a super performance product. They are larger, stronger and more rigid than any other standard servo arm available. JR/Cox/Sanwa Servo Arms. 4 arms per package. Injection Molded from engineered composite materials containing long carbon fibers. This combination of materials bring the modeler a super performance product. They are larger, stronger and more rigid than any other standard servo arm available. Overall length 3.8". Drilled for control radius of 1.737" (44.13mm), 1.5" (38mm) and 1.25" (36.75mm). Threaded for 3mm fasteners. Your ball joints made for 3mm or 4-40 bolts through the balls can be installed on this servo arm with 3mm fasteners. Horn fits on splines then clamps with tightening of two fasteners requiring a 2mm socket head wrench. No horn to spline slop is possible with this horn. Overall length 2". Drilled for control radius of 1.5" (44.13mm), 1.5" (38mm) and 1.25" (36.75mm). Threaded for 3mm fasteners. Your ball joints made for 3mm or 4-40 bolts through the balls can be installed on this servo arm with 3mm fasteners. Horn fits on splines then clamps with tightening of two fasteners requiring a 2mm socket head wrench. No horn to spline slop is possible with this horn. Overall length 2". Drilled for control radius of 1.5" (38.1mm). Threaded for 3mm fasteners. Your ball joints made for 3mm or 4-40 bolts through the balls can be installed on this servo arm with 3mm fasteners. Horn fits on splines then clamps with tightening of two fasteners requiring a 2mm socket head wrench. No horn to spline slop is possible with this horn. 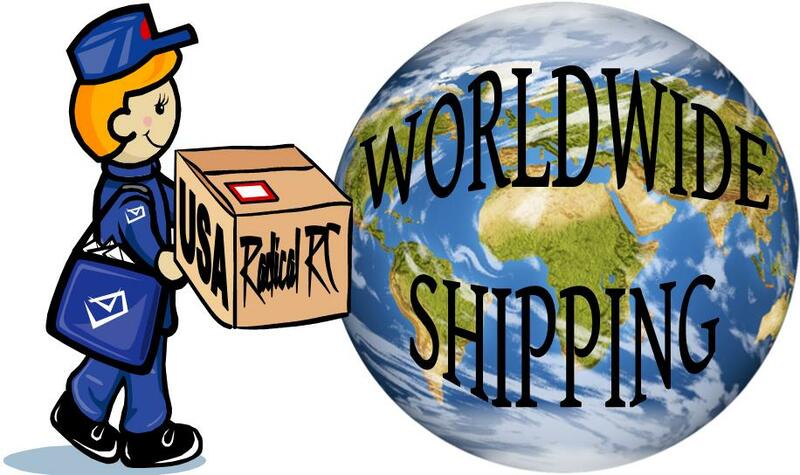 Designed for use in aircraft, car, boat, & helicopter models. Unlike conventional servo arms, they are made of long fiber composites for added strength. Longer versions have increased throw allowing for greater movement in controls. 8 Horns black in color. 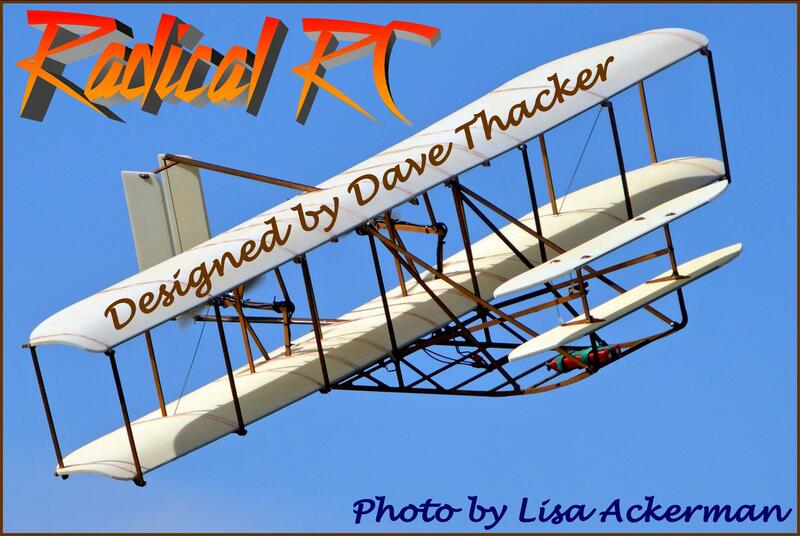 Designed for use in aircraft, car, boat, & helicopter models. 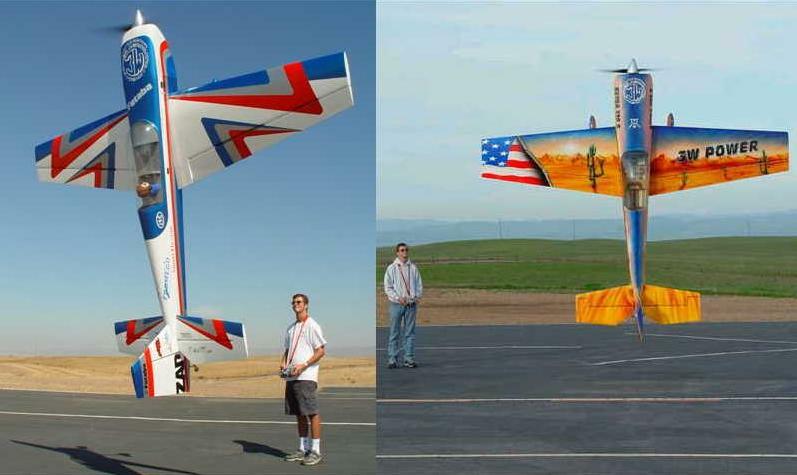 Unlike conventional servo arms, they are made of long fiber composites for added strength. Longer versions have increased throw allowing for greater movement in controls. 8 Horns gray in color. Designed for use in aircraft, car, boat, & helicopter models. Unlike conventional servo arms, they are made of long fiber composites for added strength. Longer versions have increased throw allowing for greater movement in controls. 8 Horns white in color. 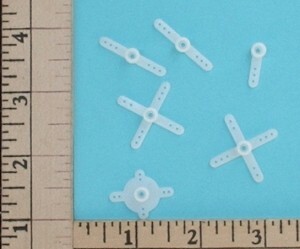 Fits Hitec, Tower Hobbies and Hobbico Command servos. Designed for use in aircraft, car, boat, & helicopter models. Unlike conventional servo arms, they are made of long fiber composites for added strength. Longer versions have increased throw allowing for greater movement in controls. 8 Horns tan in color.